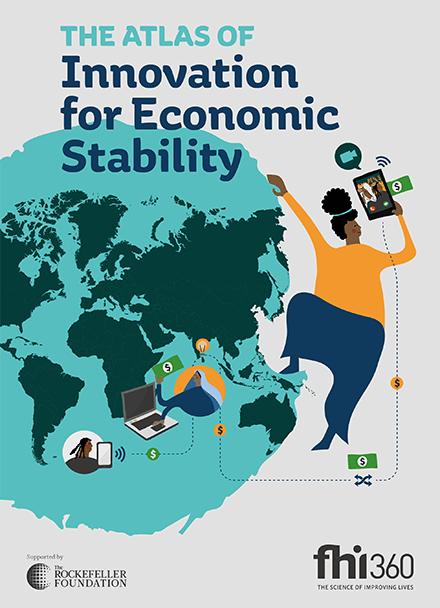 May 2018 — The Atlas of Innovation for Economic Stability presents 63 examples of policy, program and technology innovations that promote economic stability for individuals, communities, firms and countries, with an emphasis on the welfare of poor and vulnerable people worldwide. We found strong and diverse innovation in India, Kenya and the United States. Indonesia stands out for the use of data and innovation tools in government, and Brazil ranks high for public safety-related domains. The majority of innovations are privately provided and enabled by mobile technology and data, although we identified several pockets of significant government and donor participation in catalyzing or scaling innovation. This publication was funded by The Rockefeller Foundation.